Hello Friends, today i will explain you how to hide any file behind the JPEG Image that is without any software. Its a very easy trick and also very useful if you want to send information secretly to your friend. Also its different from stenography as it does hides text behind images or text behind mp3 files. 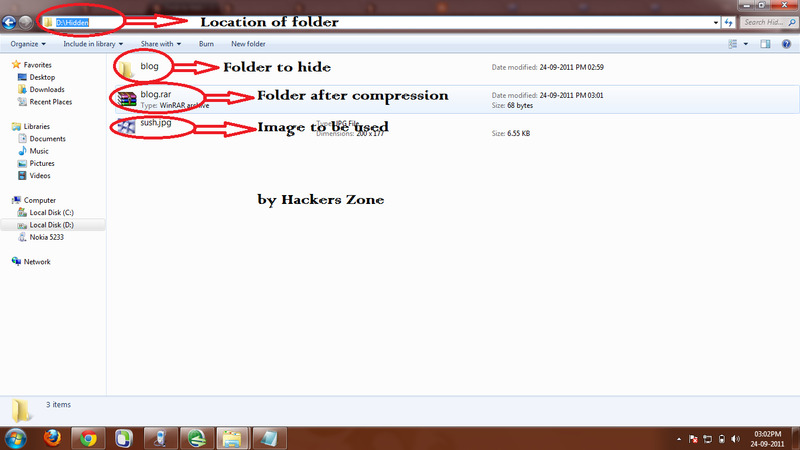 Its universal, you can hide any file, virus or Trojan or anything behind image using this trick. 1. Winrar installed on your system. 2. 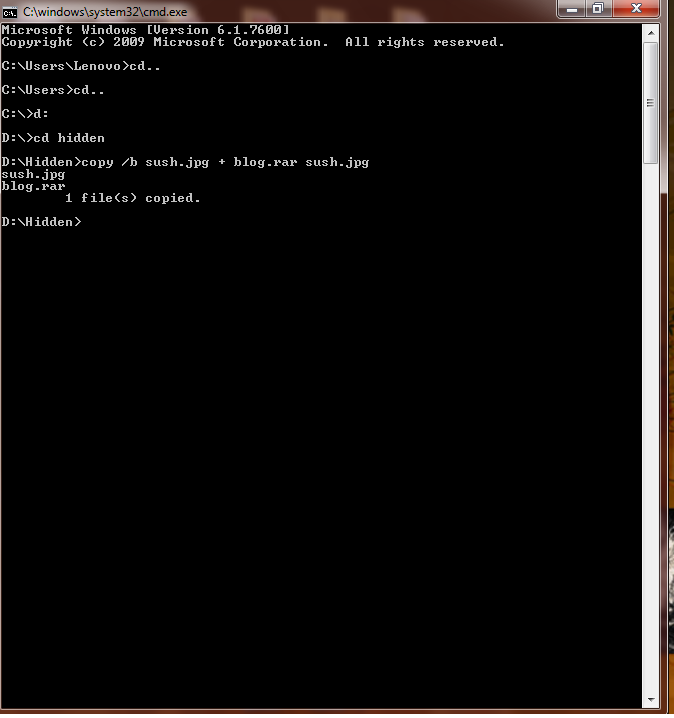 Little knowledge of command prompt. 2. then compress the folder and convert it into .rar extension by right click> winrar> add to "blog.rar"
3. now copy a picture behind which you want to hide folder blog.rar, in the same folder in which blog.rar exist. 4. 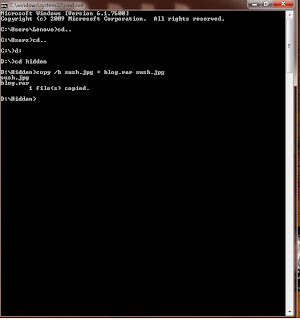 Now go to run > type cmd> then go to the location where is actually blog.rar exist. Note:- In this tut i will take as example a folder named "blog" having important data to hide behind image named "sush.jpg".....and the location of this folder is "d:\hidden\"
This hack will help us to hide things behind the JPG file without any software. Hope you all have liked it. For more such hacks keep visiting. If you have any queries ask me... Please comment your views about article. Open the image with winrar and then copy all hiddenn files and paste them anywhere in your Harddisk.